What is a Dumbbell Press? The dumbbell press helps strengthen the shoulder muscles. Incline dumbbell bench presses primarily work the upper chest and shoulder muscles. A dumbbell press is a weight-training exercise in which a pair of handheld weights known as dumbbells are pushed away from the body. Typically the dumbbell press is employed to work the chest and/or shoulder muscles, depending on the direction of the press. 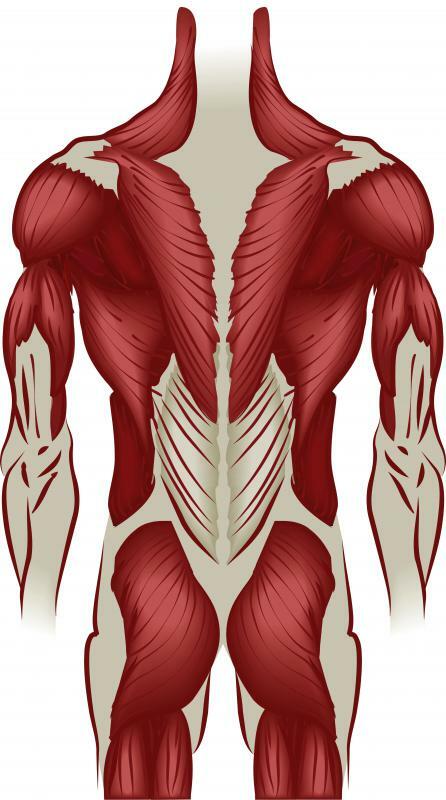 When pressing the weights directly overhead, the primary muscles worked are the deltoids in the shoulder. When lying face-up and pressing straight up from the chest, the pectorals in the chest are the primary muscles worked, and when lying on an incline and pressing up, both muscle groups are worked. Whether the goal is bodybuilding, developing strength, or toning and fat loss, the dumbbell press can be included in a variety of strength-training programs. Someone looking to gain mass would perform a high number of sets and a low-to-moderate number of repetitions — four to eight sets and five to 12 reps are the recommended number of each — accompanied by longer rest periods. 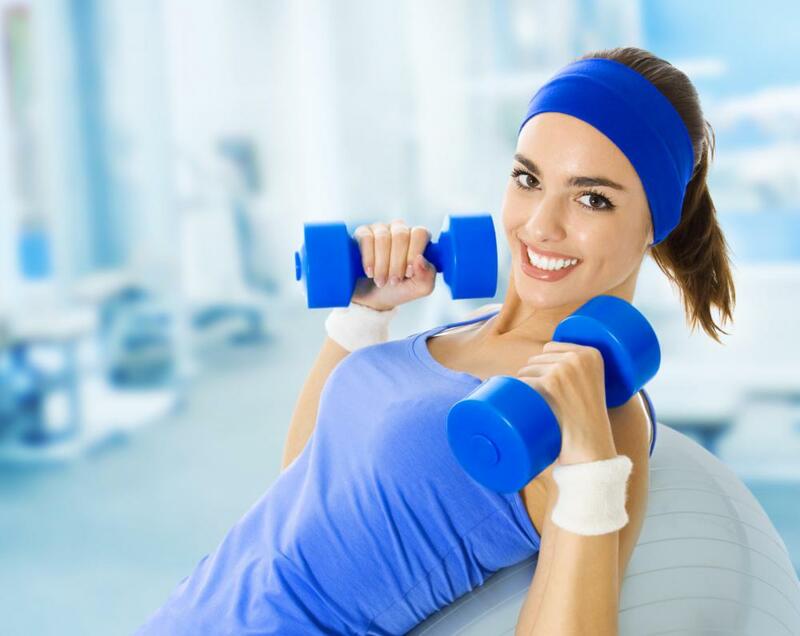 Conversely, someone looking to lose weight and tone up is advised to perform two to four sets and upwards of ten reps and to take shorter rests. To perform the overhead or military dumbbell press, the exerciser sits or stands with elbows straight out from the shoulders and bent 90 degrees, palms facing forward. Then he and presses the weights directly overhead until arms are straight, then returns to the starting position. This exercise uses the anterior, middle, and posterior deltoids as well as the triceps as a secondary mover. To perform the dumbbell chest press, the exerciser lies on his back, usually on a flat bench, with elbows straight out to either side and bent 90 degrees, palms facing knees. Next he and presses the weights directly above the chest until arms are straight, then returns to the starting position. This version of the dumbbell press incorporates the pectoralis major and minor as the primary movers, with the triceps again playing a supporting role. In the incline version of the dumbbell press, which works both the pectoral and deltoid muscles, the exerciser lies on an incline bench that is typically angled to 45 degrees. With elbows straight out to either side of the chest and elbows bent 90 degrees, palms facing knees, he presses the weights straight up toward the ceiling until arms are straight and then lowers them to the starting position. To ensure that form is correct on any version of the dumbbell press, the exerciser is encouraged to keep the shoulder blades pulled down and back. Exercisers also should avoid locking out the elbows. It is also important to keep the hips and low back in contact with the bench at all times. What is a Dumbbell Bench Press? What is an Overhead Press? What is a Press Stand? What are the Different Types of Dumbbell Presses? What is a Dumbbell French Press?